The Young Gods are back! 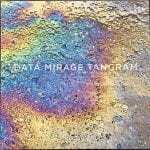 “Data Mirage Tangram” released on Two Gentlemen Records is the Swiss band’s first new studio album in nine years. Core member Cesare Pizzi joined back hands with the legendary front man Franz Treichler and drummer Bernard Trontin. 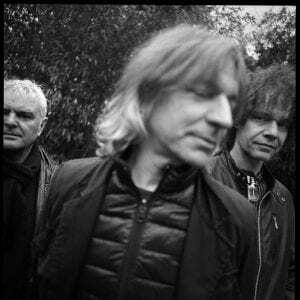 The new songs sound totally Young Gods-like; some ‘typical’ industrial-rock tracks have been mixed with more electro-ambient/psychedelic influences. I’d a chat with singer Franz Treichler during the beginning of their European tour. For the die-hard fans, the new album can be ordered as a double vinyl set (including a CD). Q: With the departure of your long-time partner Al Comet from the band, the surprising return of Cesare Pizzi in the line-up, a kind of best-of tour some years ago we could have feared that these artistic fluctuations could have eventually reduced the ‘Gods’ to silence. But this new “Data Mirage Tangram” simply proves everyone wrong: you are there to rule the world for some more 30 years… Are The Young Gods eternal after all? Can we expect the next album to come out faster? And what have The Young Gods to offer on stage anno 2019 that you did not give us yet? Franz: We are for sure not eternal, maybe comparable to a phoenix at time. It is always hard to know how long it will take till the next album, hopefully not as long. If you compare to former tours, I think the new material offers a different space, it is more dreamlike and tells another story. The energy is quite the same but can go deeper in people’s subconscious, if we play well. Former shows: a volcano exploding! The new show: watching the lava come down the mountain! Q: I noticed that the timeframe between the last 2 albums by The Young Gods was quite long. What happened? Writing blocks? Too busy with other projects? Franz: The secondlast album (cf. “Everybody Knows”) was released at the end of 2010. We did a big tour during the first half of 2011. After the tour there was a lot of fatigue and the band took a break. Al went to India for six months to learn the sitar. He came back having other plans than keeping on with the Young Gods. It took Bernard and me quite a while to decide what to do after Al’s departure. 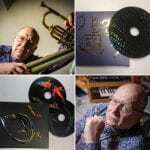 We toured the first 2 albums with Cesare during 2012-2014. It also took Cesare some time to decide if he really wanted to come back in the band for good. It is only in 2015 when we decided to write new music, that The Young God’s started following a new path. “Data Mirage Tangram” is the result of who we are now, the 3 of us, with our different tastes in music mixed together. Q: I think to have understood this album all started by a kind of live experiment where the songs from the album have been created to next being reworked and achieved in studio. I should think a rather fascinating exercise and challenge, but how did it all happened? Franz: We have been asked by a small club (tHBBC: the Hundred Blue Bottle Club) to do a 10 days residency during the Cully Jazz festival (Switzerland). tHBBC is happening in the Festival Off, they are orientated towards experimental and psychedelic music. We played there five nights, 3 sets a night. We improvised new music, in front of 80 people each night. We accumulated lots of material and during the following weeks we started to listen to it and choose the best bits. Q: This new album is quite ambient and psychedelic trance oriented, reminding me more of your “Second Nature” album compared to other more aggressive and powerful industrial rock moments of your music repertoire. Is there any kind of common inspiration factor between these two releases which are actually separated with some 16 years!? Franz: I guess we have cycles in the way we do things: sometimes we compose harder albums and other times more ambient ones. It mainly depends on the mood of the moment. Q: With an album referring to the Tangram game, the 7 songs of this album make a whole, but can also live on their own in some way. It’s quite amazing how you manage here to make us travel through different atmospheres while we continue sitting at the same place… Are these revealing the 7 true faces of The Young Gods? Franz: The tangram is both a creative game and a brain teaser. You can do lots of figures (animals, silhouettes, humans) with the pieces that you take out of the box. But you might need some time to put the 7 pieces back in their box. It is a bit the same with what happens in the album: the sequencing of the songs was a jigsaw puzzle to get to that flow. Q: The Young Gods have been set up more than 30 years ago now. From the magic of the 80s and the ‘MTV-generation’ till streaming music platforms anno 2019, you’ve seen it all. Technology has been one of ‘the’ reasons to set up the band so what’s your perception about progress, all evolutions and changes? Franz: There are so many possibilities to be creative with sound nowadays that it is hard to keep up. Every evolution whether to create or to deliver music needs a bit of time to get appreciated by people. I like vinyls, CDs and I like streaming as well. I would be sad if CDs disappear. Q: I know the Punk movement has been important to you. Do you see a similar movement and/or ideas today? Franz: Not obviously, but I can see that some people of the young generation have understood the essence of punk. They are in it as an anti-conservative force and not only as posers. You can find interesting ideas in non-musical movements like veganism, antispecism, the no-buy tendencies; anything that questions the way our society is being phagocytized by consumerism and capitalism.